Smile Samantha! You Are Our Member Spotlight Of The Week! Always with a smile, Samantha has been featured on many NYRR promo ads! Another week has passed so it’s time to shine the spotlight on one of our members! Today we are happy to shine that spotlight on one of our very first members, the always smiling, Samantha M.! Samantha has always come to club gatherings with tons of energy, a positive attitude and of course her vibrant smile. Samantha started running in 2001 in college when she felt she was overweight and as a result, it made her self-conscious. At the time she had an unpleasant dance teacher that would make her feel uncomfortable about her weight so she turned to running to prove that teacher wrong and feel better about herself. Little by little she would set small benchmarks for herlsef measured in city blocks. When she’s no running, Samantha loves singing and dancing! Eventually she had worked up to a mile and before she knew it she was running as far as 5 kilometers! As running became a healthy obsession, she would run at the gym on treadmills admittedly so she could watch trashy TV (lol). Ever increasing her mileage, she joined New York Road runners in 2012 and ran her first 5k that year. Fast forward to today, Samantha has run over 80 races with NYRR! Being a runner since 2012, Samantha stumbled across We Are NYC Running club last year while training for the United NYC Half Marathon. Why would Samantha join a running club though after being a runner for 6 years and having success with it? Samantha points to the amount of support that she felt from strangers who shared the same common goal as her and had a true genuine love for running. 3rd from the right, Samantha was at the very first official club meet up! Samantha was part of the first unofficial meet up of the club back at the 2018 NYRR Gridiron 4 miler run. That day she felt the group had something special just from spending 15 minutes together with the group before the 4 mile race. With many years of running already under her belt, she wanted to be part of something bigger where she could talk to people and not be judged. She remembers many years back still to that dance class teacher where she made to feel so small. Being a part of this club, she no longer feels that at all! Since joining the club, Samantha has loved being a member as she points to the many fabulous, strong, dedicated and down to earth people she has met. She adds that running a race is so much better knowing that you have a lot of people out there rooting for you and running with you. 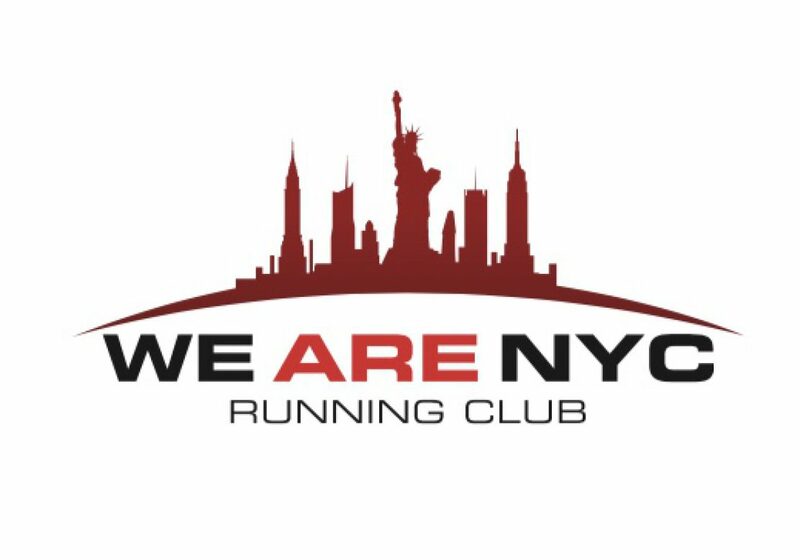 Just yesterday, Samantha ran her 22nd race as a member of We Are NYC Running Club as she ran the NYRR Gridiron 4 miler with the club and celebrated a year of running with her new found running family! Looking forward, she continues to think about running the TCS NYC Marathon as a long term goal. For now she is concerned with committing time to train for a marathon as she knows the amount of time involved with it and she does not want to take that time away from her family, especially her three year old son Harrison. Speaking of her son Harrison, he himself has already run some races with NYRR. Samantha plans on continuing to have Harrison run more races this year while she continues to prepare for some more half marathons herself with the 2:00 time barrier as her ultimate goal! Pictured here at the Bronx 10 Mile, Samantha ran 22 races with We Are NYC RC in 2018! We are fairly confident that Samantha will break that 2:00 barrier if not at the NYC Half Marathon, perhaps the Brooklyn half marathon! Once she has done that, if she hasn’t changed her mind about going for the TCS NYC marathon, she may just be content with continuing another fun hobby of hers – performing and singing famous Broadway musical scores on top of her radiator with her son Harrison! Here are some words that some of our members had for Samantha!